These plugins are included in the Claws Mail source package, which can be downloaded from here. This plugin enables mail notification via LEDs on some laptops (Acer, ASUS, Fujitsu, IBM). Keeps all recipient addresses in a designated addressbook folder. This plugin scans all messages that are received from an IMAP, LOCAL or POP account using clamd (Clam AV). This plugin inserts headers containing some download information: UIDL, Claws' account name, POP server, user ID and retrieval time. Displays libravatar/gravatar profiles' images or a dynamically generated or predefined alternative. Libravatar federated user domains are also supported. This plugin handles mailboxes in mbox format. This plugin lets you manage Sieve filters on servers that support the ManageSieve protocol. This plugin writes a msg header summary to a log file, (Default: ~/Mail/NewLog), on arrival of new mail after sorting. This plugin enables the viewing of PDF and PostScript attachments using the Poppler library and GhostScript. 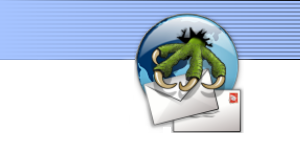 This plugin is intended to extend the filtering possibilities of Claws Mail. It provides a Perl interface to Claws Mail's filtering mechanism, allowing the use of full Perl power in email filters. This plugin allows you to read your favourite newsfeeds in Claws. RSS 1.0, 2.0 and Atom feeds are currently supported. This plugin handles S/MIME signed and/or encrypted mails. You can decrypt mails, verify signatures or sign and encrypt your own mails.